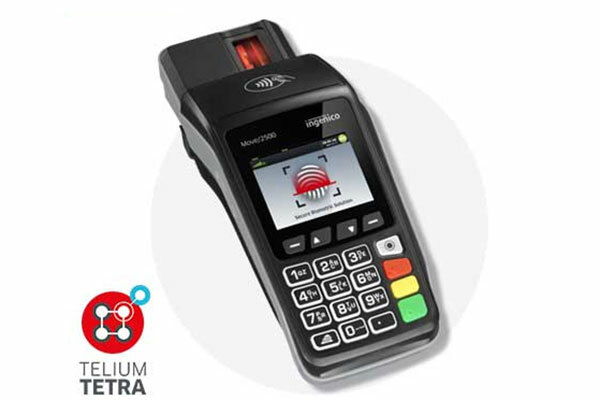 Ingenico Group, a global leader in seamless payment, has launched Move/2500 B, a portable terminal combining the convenience of fingerprint authentication with the security of the latest PCI standards. The Move/2500 B addresses traditional financial inclusion needs to reach the unbanked population as well as local governmental schemes. In India, for instance, all POS will soon have to provide fingerprint authentication. In Mexico, where banks have the obligation to verify the identity of all loan applicants, the Move/2500 B could serve as a means of authentication. The recent certification of fingerprint authentication by EMVco as a Customer Verification Method could bring about new global schemes, making the Move/2500 B also relevant in mature markets and a strong differentiator for banks with a customer acquisition strategy. “We are pleased to introduce the Move/2500 B, our third generation biometric POS, designed to support financial inclusion scenarios as well as innovative payment schemes in mature markets,” said Frédéric Lepeintre, VP Marketing of the Banks and Acquires BU at Ingenico Group.